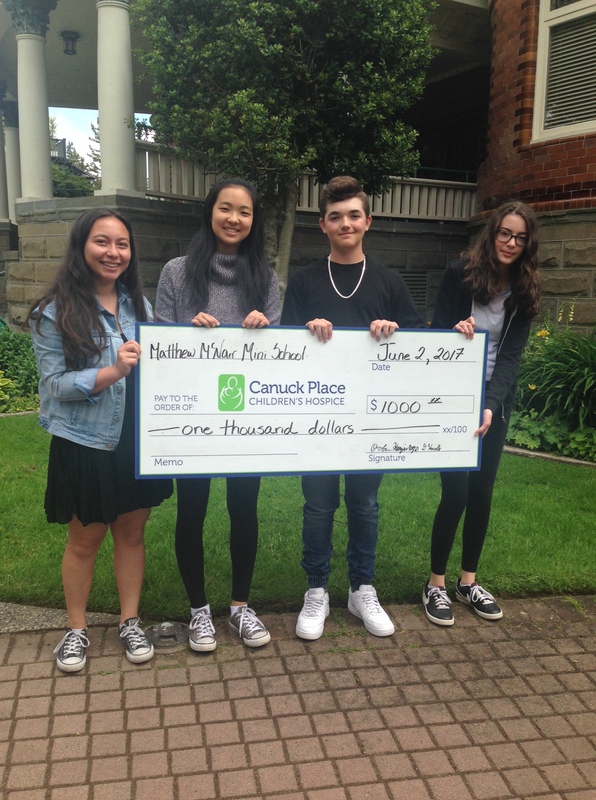 On Friday, June 2nd, grade 11 students Kenzie W. and Olivia L. and grade 10 students Lynn T. and Duke H., alongside Ms. T. Watts, presented Canuck Place Children’s Hospice with a donation of $1000.00. This was money raised from Arts Night and is made possible by everyone involved, including all parents/guardians and students! McNair Mini School has been donating to Canuck Place since 1997. Students will now return to give presentations to their classes about Canuck Place, where the funding goes, who it helps, etc.